You Need Fat. Here Are the Best Ways to Get It. For a long time, fat was The Enemy, a substance that led to hazards like heart attacks, strokes, and obesity. Now, though, doctors know that fat isn't just tasty -- it's also part of a healthy diet. Unfortunately, this doesn't give you license to eat delicious foods like bacon and sausage at every meal, since they have a whole bunch of other problems associated with them. Minimally processed, plant- and marine-based sources of fats are the way to go, says Edwina Clark, head of nutrition and wellness at Yummly. Healthy fats do all sorts of nifty things -- they can help reduce your levels of bad cholesterol, increase levels of good cholesterol, and help reduce inflammation. So what are the best ways to add more good fat to your diet? Chocolate, scrumptious chocolate, is good for you -- as long as it's dark. Sure, it might not taste as good to you as milk chocolate, but that's because it's not loaded up with sugar. Nutritionist Rebecca Lee, founder of Remedies For Me, notes that, like other good-fat foods, dark chocolate helps lower the bad cholesterol and works on increasing the good. She recommends shopping for chocolate bits and bars that are 50% to 90% cocoa. "We've all heard that butter will clog our arteries because it's pure fat (2/3 saturated) and if we eat it, we will die," notes Annie Lawless, co-founder of Suja Juice and creator of lifestyle site BLAWNDE. 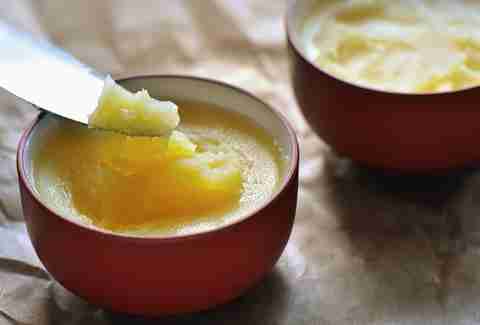 Fortunately, that's not the case in moderation, as this full-fat dairy delight is rich in the fat-soluble vitamins A, E, and K. Ghee, or clarified butter, is butter with the milk solids removed, giving it a higher smoke point -- which means it's the option to go with if you're doing high-heat cooking. "Most of the fats contained in avocados are oleic acid, which is a monounsaturated fatty acid," says Lee. That's a good thing! 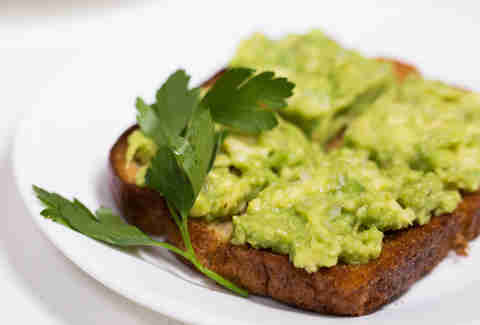 Avocados are pretty much a win all around, delivering healthy carbohydrates, protein, fiber, vitamins, and minerals. 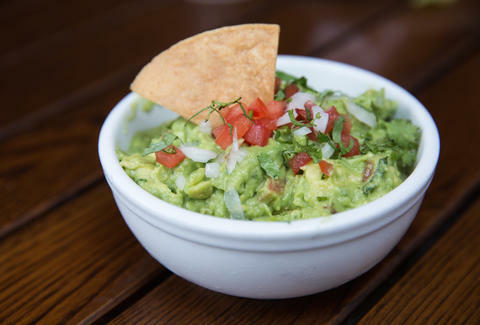 They're delicious, too -- why aren't you putting guacamole on everything you eat?! 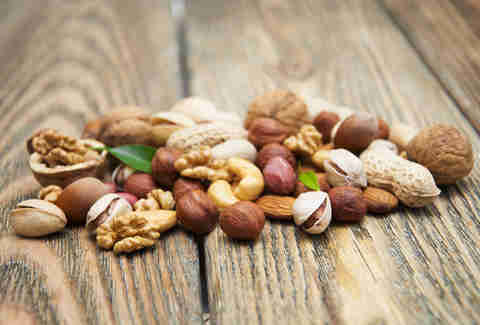 According to Lee, almost 80% of nuts are filled with healthy fats, which include unsaturated fatty acids and omega-3 fatty acids. Eating nuts is a good choice if you're concerned about your heart health (which you should be, since it's your heart), because those healthy fats work magic on your cholesterol levels. Thanks, nuts! Some good choices are almonds, macadamias, cashews, and walnuts. You Need Fiber If You Want to Poop Normally. Here's How to Get It. 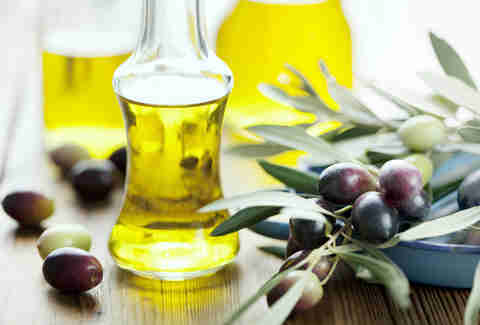 Not every oil is equal, but the best of the bunch are olive, coconut (Lawless says, "Its main saturated fat, lauric acid, which is a medium chain fatty acid, also raises HDL, or good cholesterol. "), cold-pressed nut, flax seed, sesame, and hemp seed. Plant oils typically contain high amounts of monounsaturated and polyunsaturated fatty acids (i.e., the good kind) and tend to contain high antioxidant levels, too. Sea critters like salmon, trout, herring, and mackerel are packed full of polyunsaturated fats, which make your heart happy because it's not bogged down by bad cholesterol. 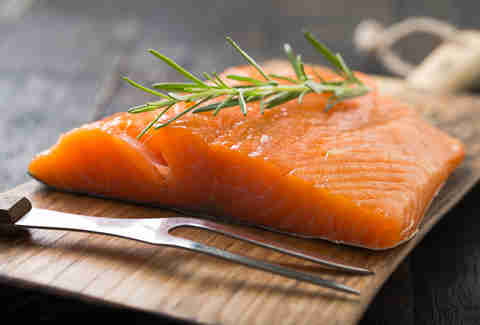 "These fish are rich in a type of unsaturated fat called omega-3s," says Clark. "A diet rich in omega-3 fats has been shown to reduce inflammation, and boost heart, brain, and joint health, by blocking more inflammatory pathways." 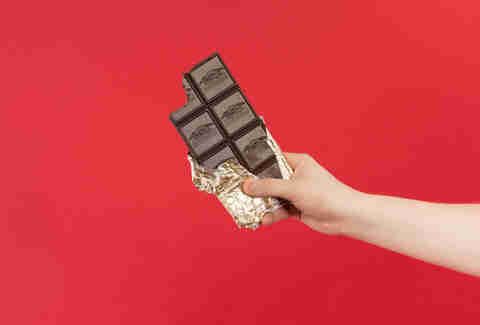 Monica Beyer is a health writer who's now pretty happy about her dark chocolate habit. Follow her at @monicabeyer for more habits you may not want to know about.